Luis Baez earned a B.M. from the Peabody Conservatory of Music. His teachers include Robert Marcellus, Larry Combs, Roger Hiller, Steven Barta, Marshall Haddock and Sidney Forrest. 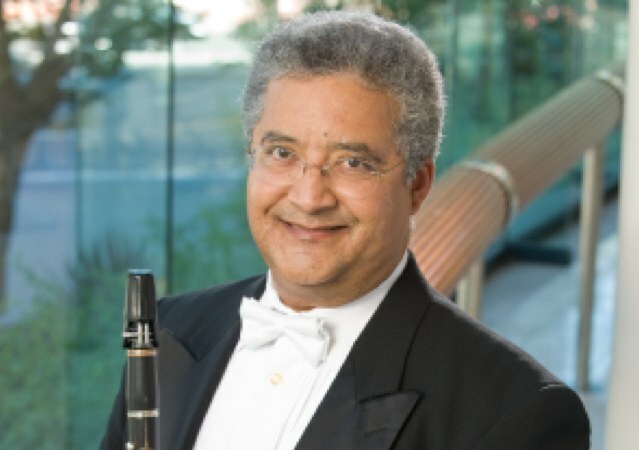 Mr. Baez is currently the associate principal and E-flat clarinetist of the San Francisco Symphony, where he began his tenure in 1990, and was acting principal clarinetist from 2004- 2007. His numerous solo appearances include the San Francisco Symphony, National Symphony Orchestra, Chautauqua Festival Orchestra (New York), New Mexico Symphony Orchestra and the United States Navy Band. Mr. Baez has also performed chamber music extensively throughout the San Francisco bay area and at the Telluride Chamber Music Festival (Colorado). He has performed on many critically acclaimed recordings with the San Francisco Symphony as well as film scores and various recording projects including a feature on the Symphony’s « Keeping Score » videos. A sought after clinician, Mr. Baez has presented master classes throughout the United States including the University of Michigan, Manhattan School of Music, New World Symphony (Florida) and at the Eastman School of Music.